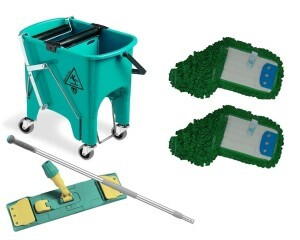 Our range of floor mops come either as fully fledged starter kits, or available to purchase as individual parts for easy replacement once heads and frames have worn out. 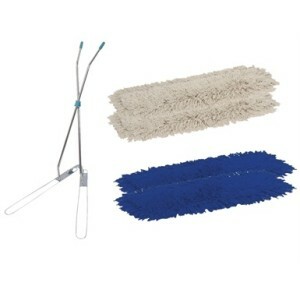 We have a variety of telescopic steel handles with different width head frames to accommodate cleaning in smaller areas, available with replaceable cotton and synthetic heads. 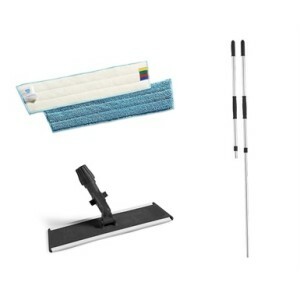 Choosing the correct head depends on the surface you’re applying them to. 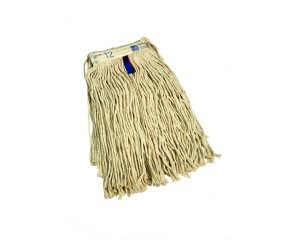 Floor mop heads can be used in conjunction with our selection of handles, to provide an excellent janitorial cleaning solution across a variety of floor surfaces. 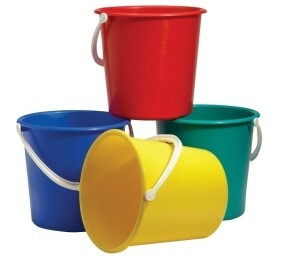 We also offer a wide range of high quality buckets for use with traditional style cotton, viscose or hygiene socket mops for the professional market. 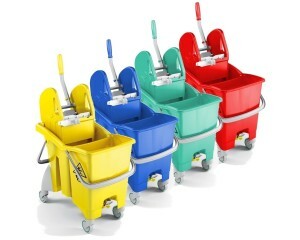 All colour coded to reduce the risk of cross contamination. 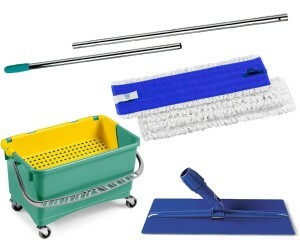 V Sweeper kits are designed for sweeping large smooth floor areas such as airports, hotel lobbies, shopping malls, etc. 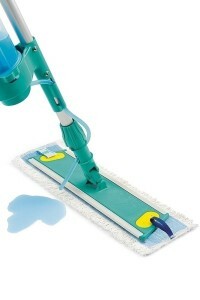 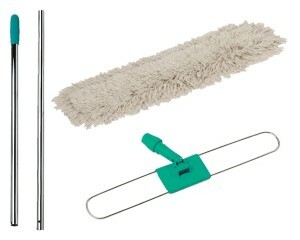 Available as either an Ecru cotton mop head or Synthetic blue mop head system.